One of the advantages of being married--or so I'm told--is that you have a spouse to encourage you. We singles have to provide our own motivation, and at times that's really hard. Many of us are struggling with low grade depression much of the time. Others are disabled or unemployed. We're all fighting our own tough fight. As you may have gathered from www.inspiration-for-singles.com, I'm not much for goofy platitudes. I believe in practical, real world principles that work. So how can we fire ourselves up so we want to jump out of bed in the morning and tackle our day? 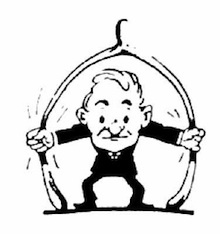 How can we overcome the inertia that comes with life's everyday disappointments? Here are some common sense tips for getting motivated. like a rusty screen door. standing in back of me? it gave me a scare. "You're not doing this alone." and I earned my pay. I thought the day had flown. How to be smarter than me! Everybody makes mistakes, and I've made my share over the past 40 years as a single. By reading my web site and these newsletters, you can do the things I've done right, but there's a way you can avoid doing the things I've done wrong. 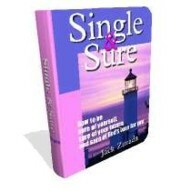 Single & Sure, my big ebook on the single life, tells you how. Not only does it contain loads of positive advice, but this how-to guide points out the pitfalls you're going to encounter as well--and how to avoid them. This is about real world stuff that is going to happen to you in the future. Why not be ready for it? Single & Sure is only $9.97, payable by credit card or Pay Pal. There's even a handy currency convertor on our info page to show you how much it costs in your country's currency. Get all the details plus a F'REE downloadable sample HERE. For us single folks, our attitude can enslave us or liberate us. Life throws a fanload at us every day, and we can wade our way through it, or whine our way, making ourselves and everybody around us miserable. The sooner you learn this crucial truth of life, the more years of happiness you'll have. Being bitter makes things worse instead of better. Resolve now, this minute, to be a survivor, a person who, with the help of God, overcomes adversity and looks toward the hope of tomorrow. Hey you! Yeah, you! More motivation tips! How to wake up happy! The secret to achieving your goals! How to overcome your fear of the future. Why do I love the Bible so much? Because it's God's love letter to singles like us. When I worked at www.christianity.about.com, I did an article I think you'll like: Comforting Bible Verses. Your comments about the site and this newsletter provide the fuel for my Happy Train. You can zing those emails to me instantly using our rideup-free contact form. Inspire-O-Gram is a little later than usual this month, but I hope you found something to charge your Motivation Meter.